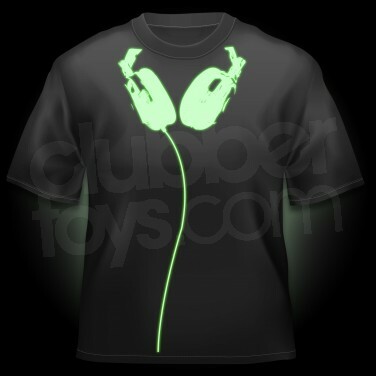 A super funky t-shirt featuring oversized earphones, the Glow Headphones T-Shirt is perfect for parties and music lovers! A black cotton t-shirt acts as a backdrop to the groovy glowing print so that a pair of glow in the dark earphones appear to be sitting around your neck. Very cool!